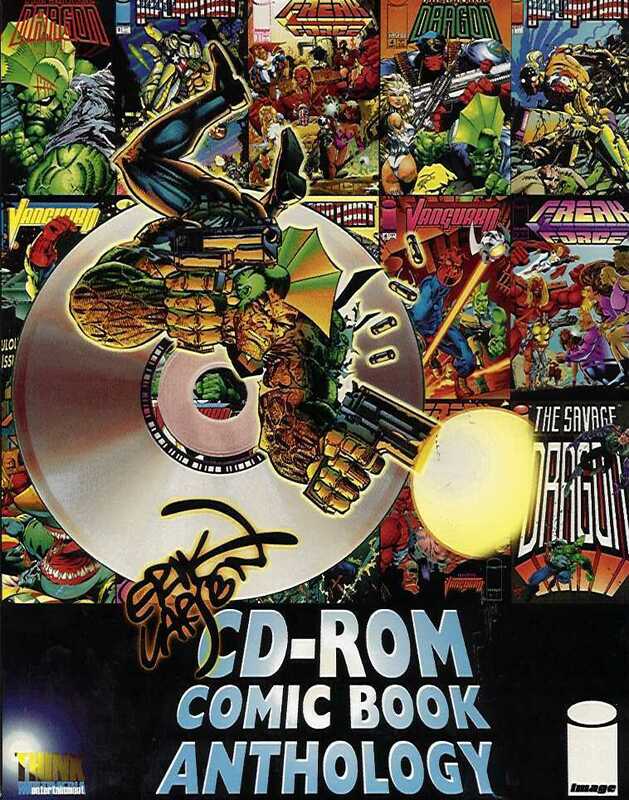 Presenting over 650 digitized pages from Erik Larsen’s outstanding comic book library. Complete and uncut! This ultimate collector’s item features The Savage Dragon (mini-series 1-3, on-going series 1-10), Super Patriot 1-4, Vanguard 1-6, Freak Force 1-4 and much more! Exclusive never before reprinted, first ever appearance of the Savage Dragon in Graphic Fantasy #1! Self published by Erik back in 1982, this very rare book is a must for any collector! Plus, additional Savage Dragon and Vanguard stories from Erik’s early days including Graphic Fantasy #2 and Megaton #3. Also includes… Erik’s private sketchbook with never before published original drawings, layouts and character designs. Bonus: An exclusive video interview with Erik Larsen.